Superheroes are arguably more popular nowadays than ever before, due to the success of the MCU. However, one of the most famous Marvel series has been missing from these movies, and that’s the X-Men. But with Disney acquiring 21st Century Fox, the X-Men will soon be fighting alongside the Avengers on the big screen. The X-Men haven’t been missing from the comics sphere like the Fantastic Four though, and have arguably been the most present of all Marvel heroes recently. This is because of the vast amount of series they have, which dwarfs any other set of comics, even the world’s most loved superhero Spider-Man. But this begs the question, just how many X-Men comics are there? First of all, let’s look at the comics with X-Men in the name, rather than just the individual series. There are currently four X-Men team comics being published, those being Astonishing X-Men, X-Men Blue, X-Men Gold, and X-Men Red. These each focus on different groups, and have different storylines. Astonishing focuses on X-Men who have fallen from grace and want to redeem themselves. Blue focuses on the original X-Men, pulled from their time to modern day. 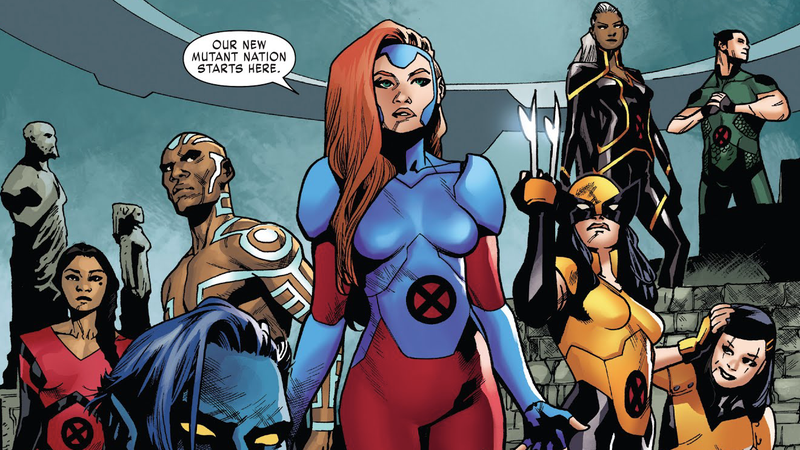 Gold acts as a continuation of the Uncanny X-Men team, with many of the same members. Finally, Red focuses on a newly revived Jean Grey trying to bring actual change so that Mutants don’t have to hide. These series are all great and do a good job focusing on different aspects of being not only a superhero, but a mutant. With these four series X-Men already has already quadrupled the amount of Avengers series currently running, but we’ve barely scratched the surface of Marvel’s Mutants. Before mentioning the other X-Comics, it’s important to point out a large event currently happening, that being Extermination, which has the the original X-Men (from X-Men Blue) being targeted in an effort to wipe out the X-Men once and for all. Going into the regular series, there are a lot, some old and some new. The biggest grouping is the four Hunt For Wolverine mini series, which include The Claws of a Killer, Mystery in Madripoor, Weapon Lost, and The Adamantium Agenda. Each of these series focuses on a different group of heroes trying to find Wolverine, after he escaped from where he was supposed to have died. Keeping with Wolverine there’s Old Man Logan, which follows Old Man Logan after he’s been brought into the main Marvel Universe, and X-23, which follows Wolverine’s daughter in her own adventures. There’s also a series based off of Wolverine’s former science buddies, Weapon X, which follows other people who were part of those experiments fighting in their own team. Moving on from Wolverine we have another of the most well known mutants of all time, Deadpool. His insane popularity has garnered him many series, those being Deadpool, Deadpool: Assassin, Spider-Man/Deadpool, and Cable/Deadpool. These each have Deadpool doing crazy things, which, for the most part, are explained in the title. After Deadpool 2 many more people were introduced to Domino, who got a solo series soon after. Finally, we move on to the regular series. 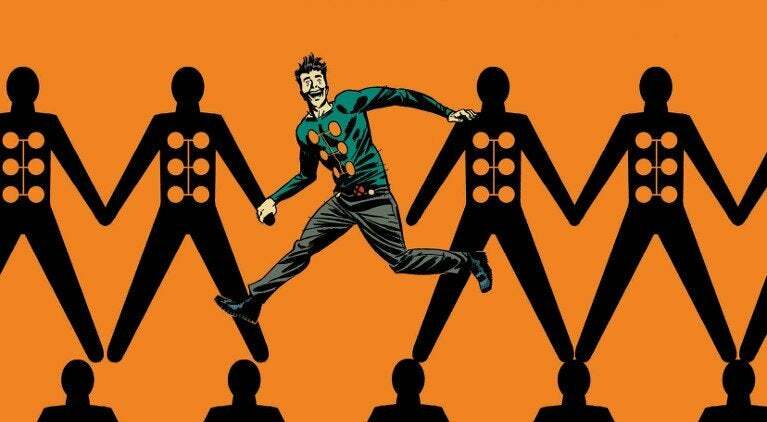 There’s Multiple Man, which follows one surviving copy of Jamie Madrox, after the original died in Death of X. There’s another returning group, that being the New Mutants in New Mutants: Dead Souls. You can also follow the newly married Gambit and Rogue in Mr. and Mrs. X. Before getting to the final results, there are a few series which are related to the X-Men, but aren’t necessarily X-Men characters. These are Weapon H, which has a combination experiment of Hulk and Wolverine. There’s also Old Man Hawkeye, which is a prequel to the original Old Man Logan storyline. The last of these is the Exiles, which has half of the team being X-Men, with Blink being the core part of the team. So, the part you’ve been waiting for, how many X-Men comics are there currently? It is an astounding twenty titles, twenty three if you count the ones that have great similarities. This is by far the largest amounts of comics dedicated to one series, which beats the eight comics of the current Avengers, including the Avengers comic itself. However, the most astounding thing is just how different all of these series are, and how different the stories are from others that have been told across the years of these characters. However, there is one thing that’s going to increase the amount of X-Men related comics, Disney acquiring 21st Century Fox. Marvel has been seen to snuff out series when there’s marketing for other companies, as evidenced by the missing Fantastic Four. Coincidentally, the series is coming back now, and Disney has their movie rights again. So, with the rights of the X-Men secured again, the time is right to make even more X-Men comics. This is already being seen with the upcoming X-Men Black, and the returning Uncanny X-Men. At this rate, it’s only a matter of time before the X-Men series doubles its current record of twenty.